The Rolling Stones legend, 69, admits he still owes for books he borrowed and failed to return to his local public library in Dartford, Kent, when he was a teenager. And at 15p a day – plus interest and admin fees – the star could be slapped with a bill for around £3,000. Keith explained: “To me it was a place where you get a hint there was somewhere called civilisation. 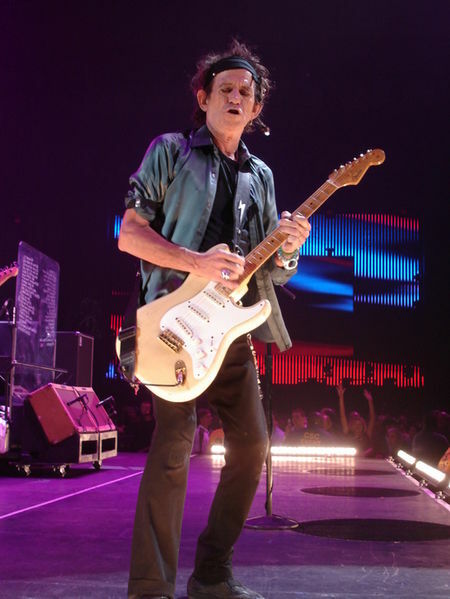 The Rolling Stones’ 50 and Counting tour is currently rolling across North America. And, hopefully, when he isn’t on stage or on a bus, Richards is finding time to read.